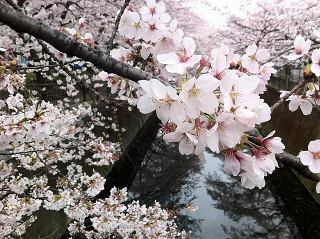 Cherry Trees (Sakura) in Bloom ! Japan still has a long ways to go to recover from both the physical and mental shock of the earthequake. Just the beginning, this month has been a long month for everyone, and it gave everyone the impression that spring will never really come this year. However, time goes by, and that's a good thing. After a few days of warm weather this past week, the sakura, or cherry trees are at last in full bloom. It's nice to see many people coming out to the parks and having smiles on their faces looking at the beautiful pink blossoms. It was tense and sad this past month, but a month has already passed. People are moving forward, just as the sakura trees have at last decided to bloom. Spring has come, and Tokyo is alive and well. This is a message from Daniel Kahl, taking about how the overseas press is causing panic. A bit slow in sharing since the video is from a few weeks before, but the message is still valid. This page contains all entries posted to Cycle Tokyo ! Weblog in April 2011. They are listed from oldest to newest.